Package and Storage: HEDP liquid: Normally In 250kg net Plastic Drum, IBC drum can also be used as required HEDP solid: 25kg inner liner polyethylene (PE) bag, outer plastic woven bag,, or confirmed by clients. Storage for ten months in room shady and dry place. Safety Protection: Acidity, Avoid contact with eye and skin, once contacted, flush with water. 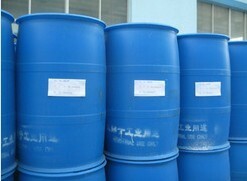 HEDP is an organophosphoric acid corrosion inhibitor. It can chelate with Fe, Cu, and Zn ions to form stable chelating compounds.It can dissolve the oxidized materials on these metals’ surfaces. HEDP shows excellent scale and corrosion inhibition effects under temperature 250°C. HEDP has good chemical stability under high pH value, hard to be hydrolyzed, and hard to be decomposed under ordinary light and heat conditions. Its acid/alkali and chlorine oxidation tolerance are better than that of other organophosphoric acids (salt). HEDP can react with metal ions in water system to form hexa-element chelating complex, with calcium ion in particular. Therefore, HEDP has good antiscale and visible threshold effects. When built together with other water treatment chemicals, it shows good synergistic effects.